NEW! This Leg Adapter kit quickly clamps onto and converts any of our EC-Series benders from the normally flat table mounted setup into the same vertical mount system used by our Commercial PF-Series benders. Quickly installs on any of our four sizes EC-Series Hoop Benders. 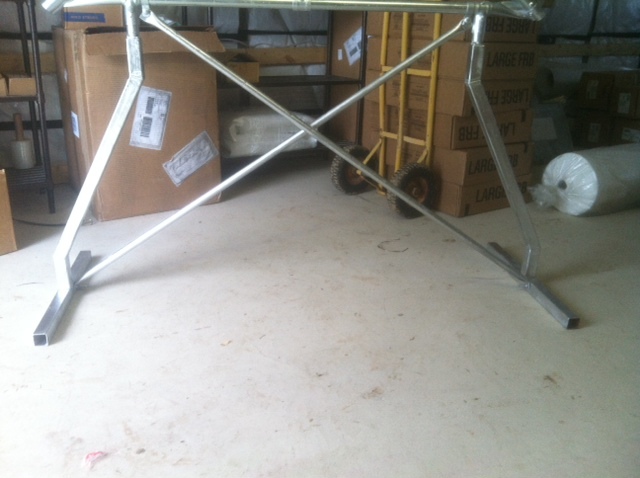 NOTE: Sand bags or other heavy item must be placed on the base foot at the holding strap end for ballast while bending hoops.